The growth wasn’t driven by the outsized impact of a few large deals. In the largest sector, Internet, median deal size increased at every stage of funding for the first time ever, CB Insights said. 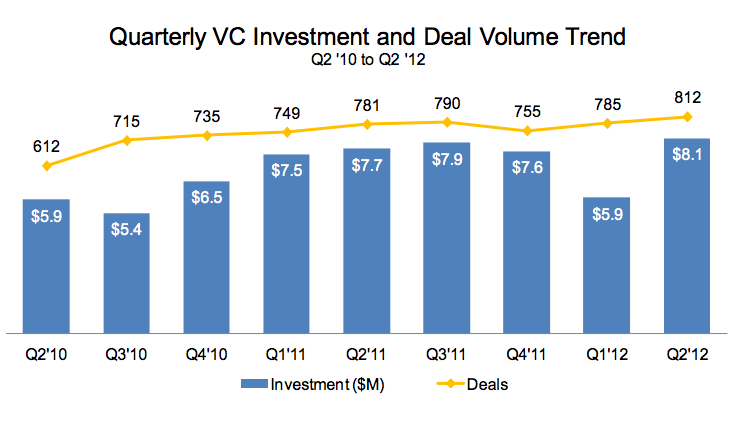 Venture capitalists were particularly aggressive on early-stage investments in the second quarter. 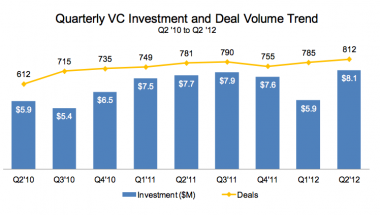 Seed-stage venture capital accounted for 22 percent of all deals, continuing steady acceleration since the beginning of last year. There were more seed deals than Series A fundings for the first time ever. 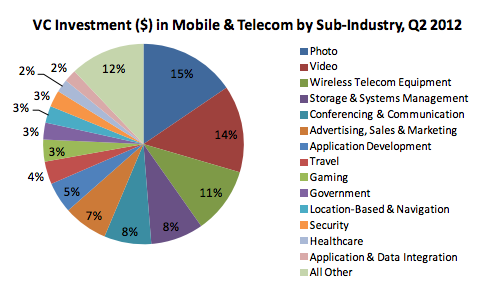 And that’s excluding angel funding, which CB Insights counts separately. What categories did particularly well? Ed tech, e-commerce and enterprise. Social investments in the Internet sector are down, though mobile social is booming after the Facebook-Instagram deal. Photo and video start-ups accounted for 29 percent of mobile funding dollars. Green tech turned in a good quarter, based on big money for Fisker Automotive and Bloom Energy. CB Insights also did considerable work to break out venture capital trends by region, which you can see in the full report when it’s posted here.